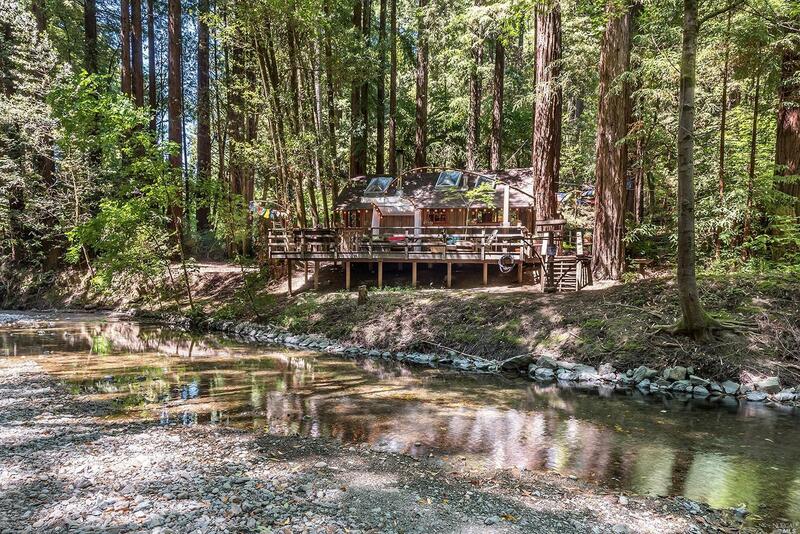 If you are looking to get away from the city and enjoy nature, this 324 sq. 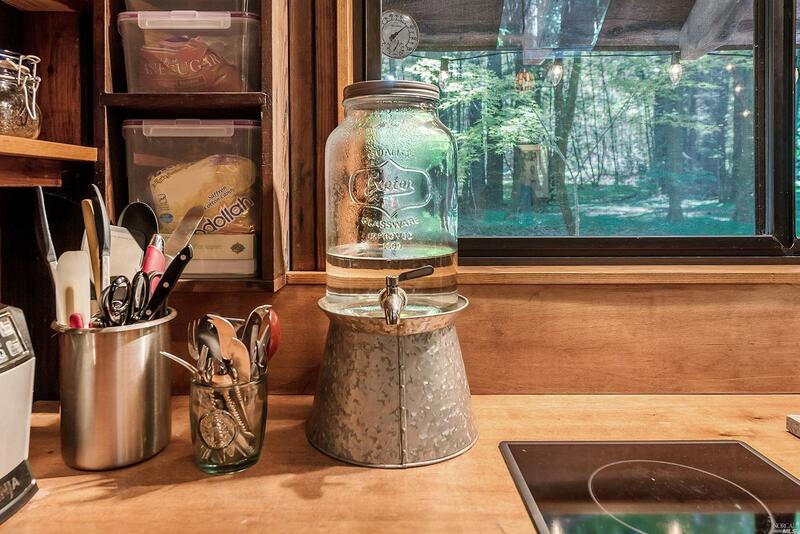 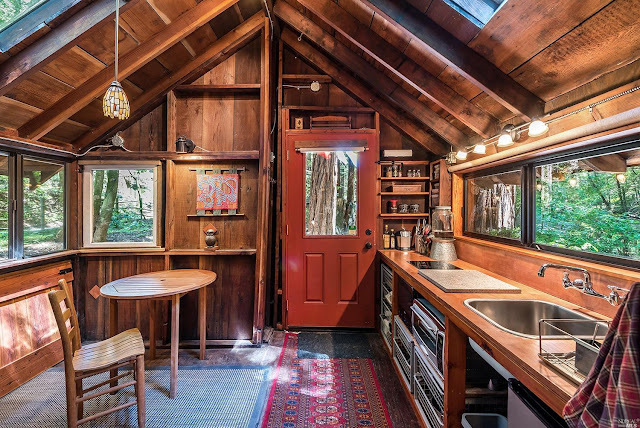 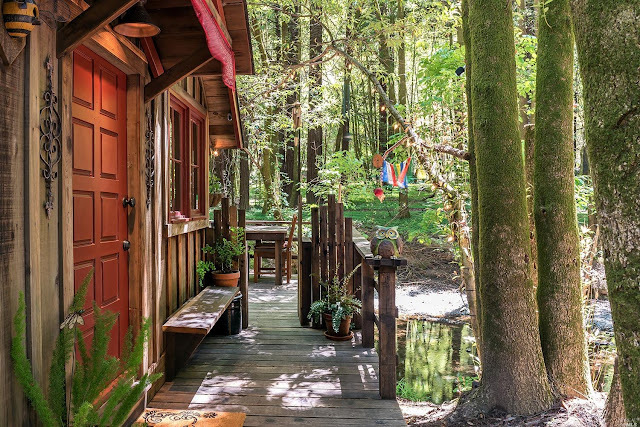 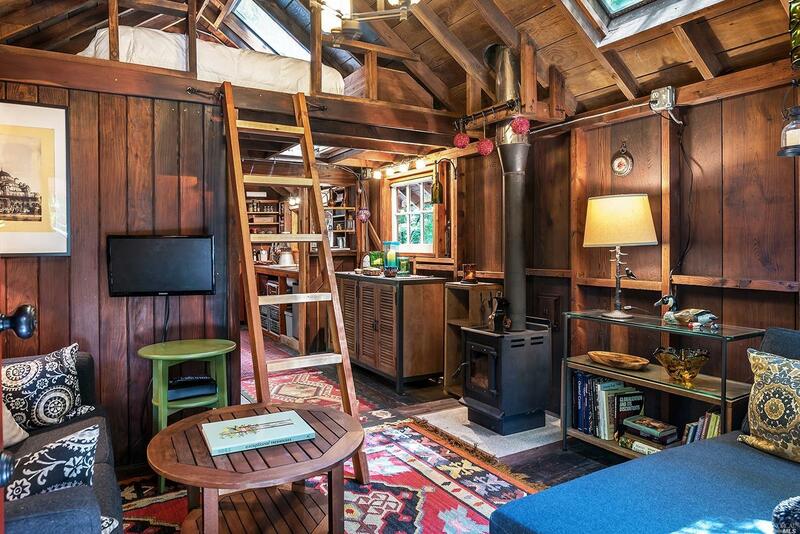 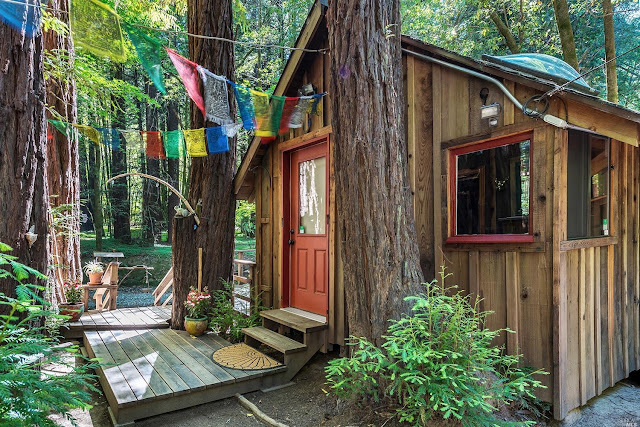 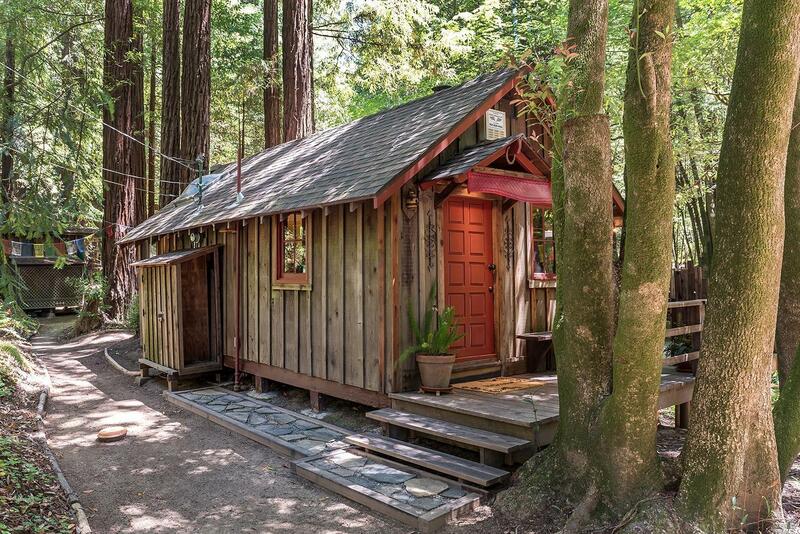 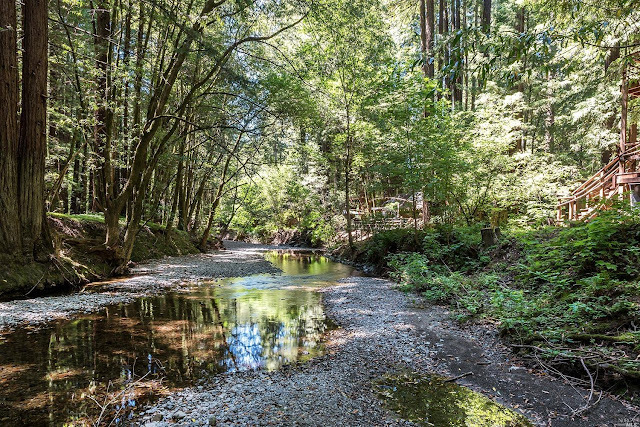 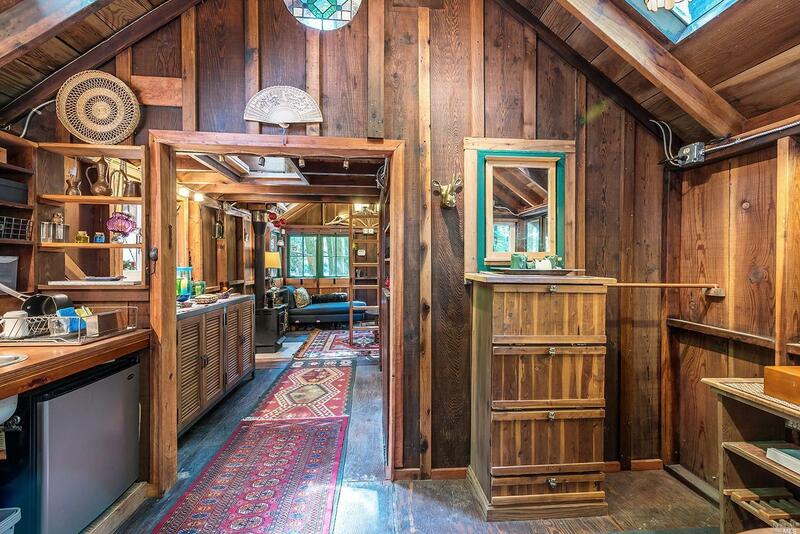 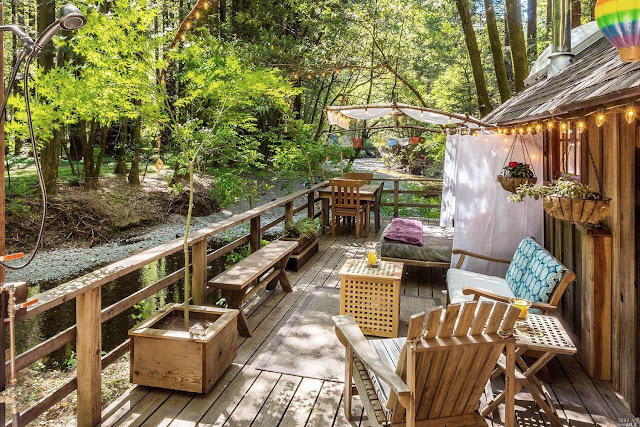 ft. tiny home, located on Dutch Bill Creek in Monte Rio, California, is for you! 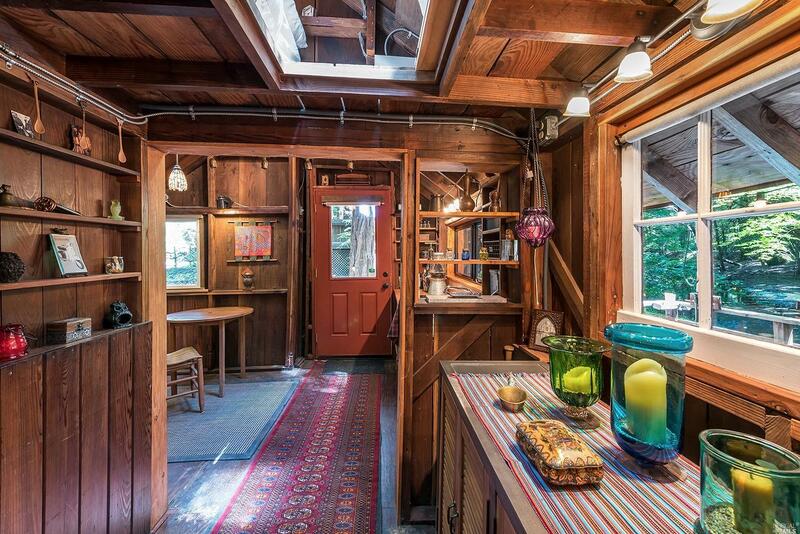 By entering the front door of the house, you will immediately find yourself in the main living area. The living space is furnished with a sofa along the left wall, coffee table in front of the sofa and TV. 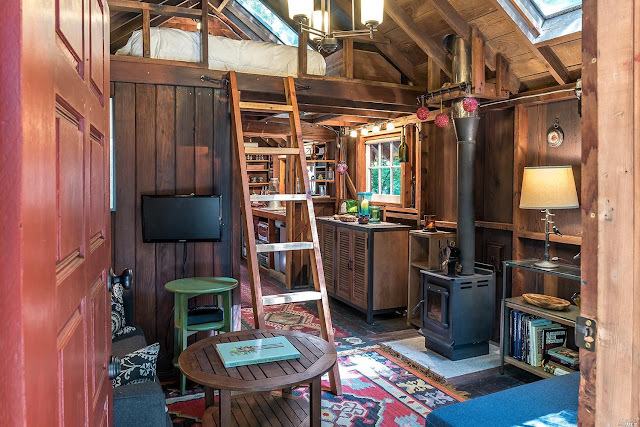 You can also access the lofted bedroom from the living room via the ladder. 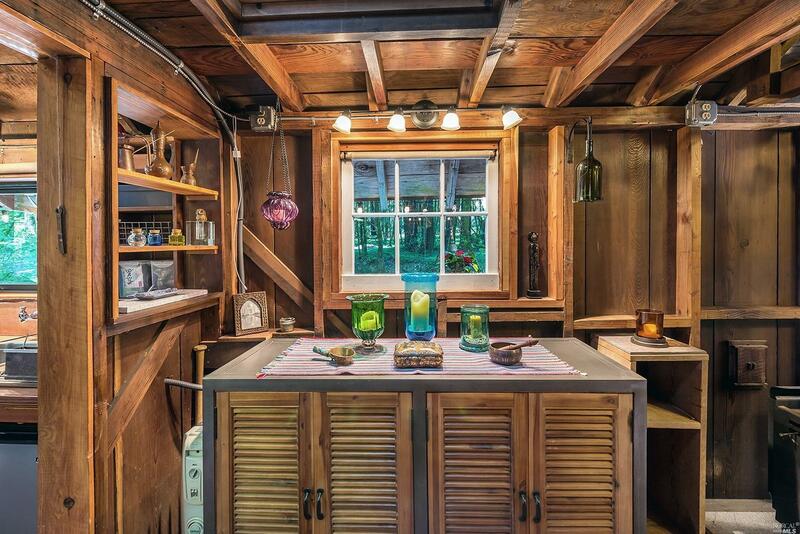 When heading to the kitchen, you will notice the bathroom on the left. 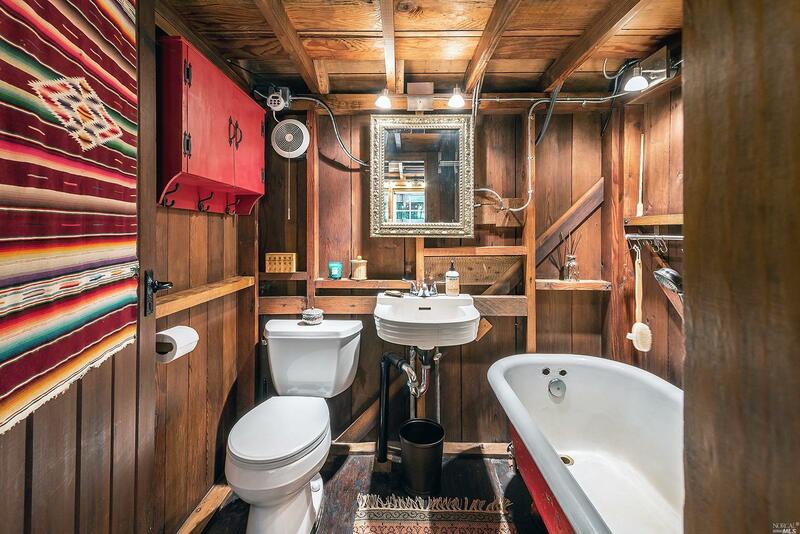 The bathroom features a standard toilet, sink and large tub. 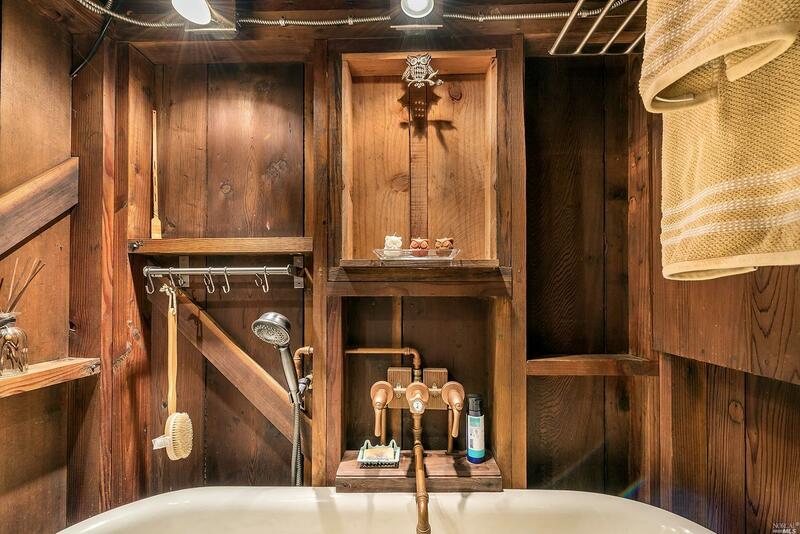 A hanging rack is conveniently located next to the tub and can be used to store louffas, body sponges, etc. 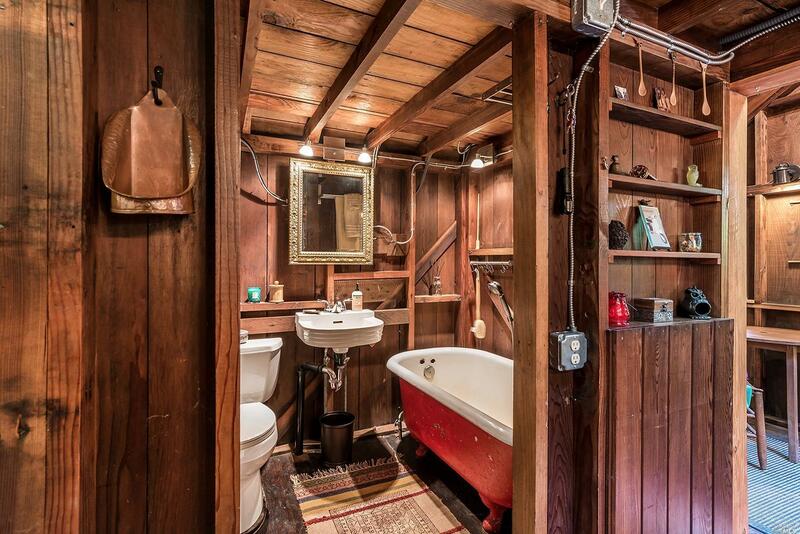 Exit the bathroom and enter the kitchen on your left. 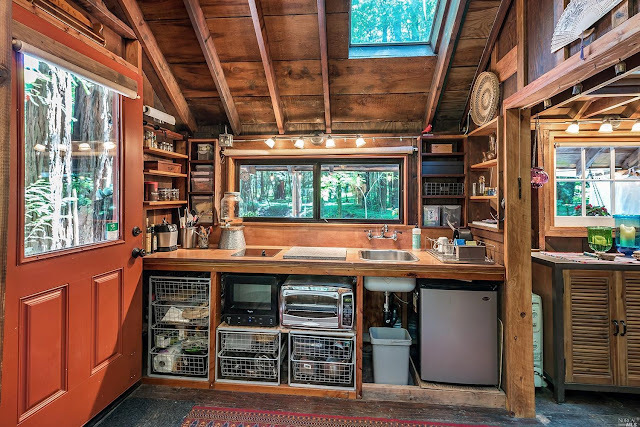 This space offers plenty of storage space on the wall shelves and within the wired bins underneath the wooden countertops. Also located under the countertop is a mini refrigerator. 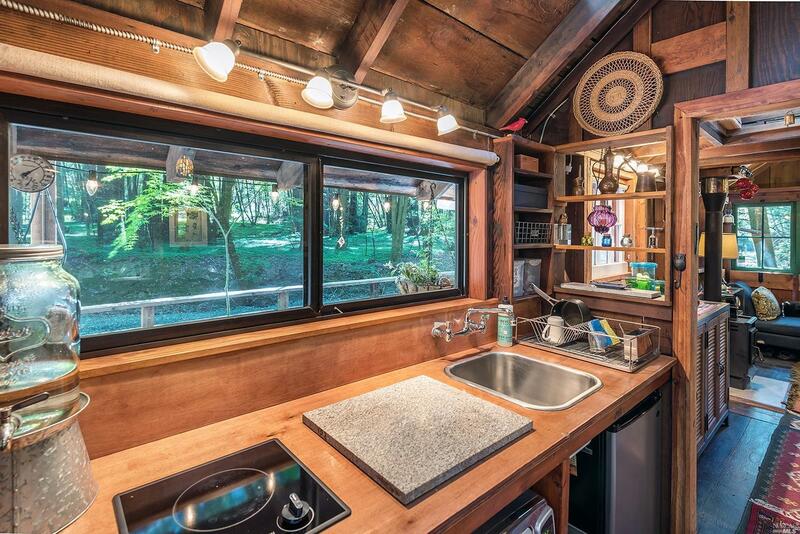 On top of the counter you will see kitchen accessories, a 2-burner induction cooktop, a sink and dish-rack. Bordering the kitchen is a separate dining area. 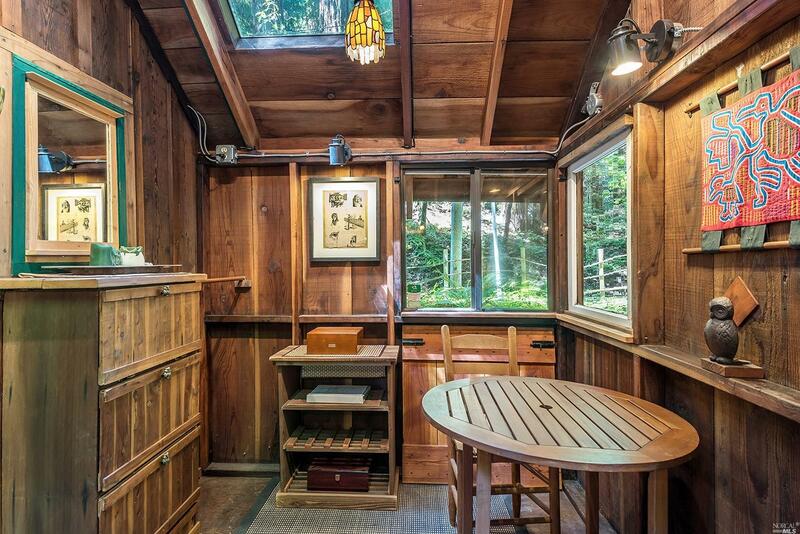 If the inside of this tiny house does not have enough lounging room for you and your family/friends, there is even more lounging space located on the exterior of the house! 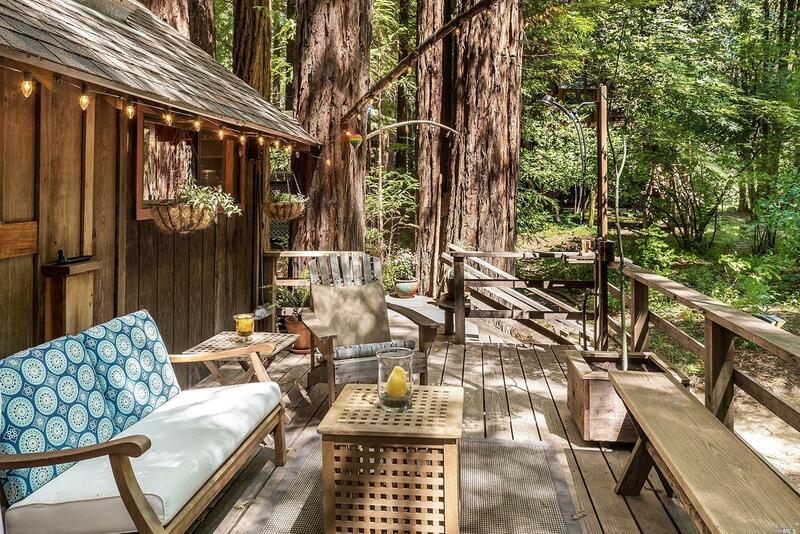 The porch wraps around the front and side of the house and has ample seating/lounging space! To learn more about pricing and other features that make this tiny home special, visit its sales listing on Estately here!